I feel like nothing screams vintage the way that avocado-colored appliances from the 1960s and onward do! Also I really like guacamole. So today I have some really fun and lighthearted avocado inspired half moon nails (also a tip to 1950s-ish style nails) with a freehand avocado accent nail. Read on to hear how I did these! Using a slightly damp makeup sponge dab a gradient on in shades of avocado-y green! 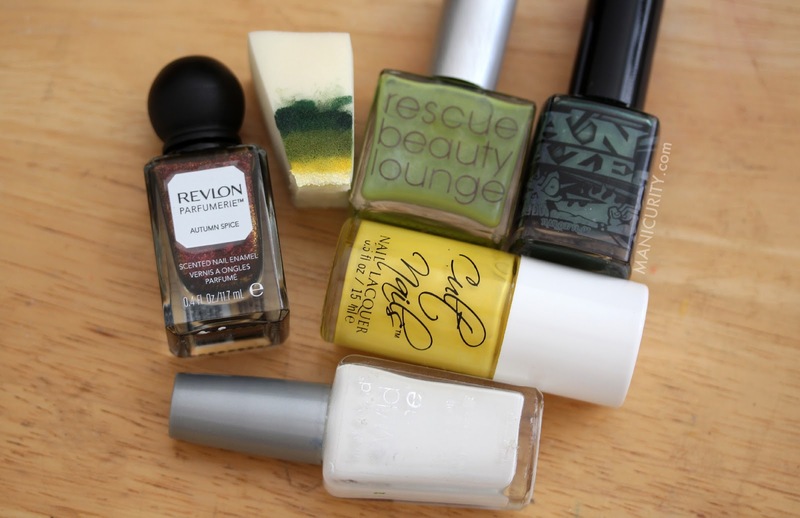 For my avocado flesh gradient colors I used white, yellow (Cult Nails You're My Dandy Lion), medium yellow-toned green (Rescue Beauty Lounge Abi), and a darker green for the edges (ManGlaze Nawsome Sauce). Whenever I do gradients I paint the polish directly onto the sponge using the bottle from the polish brush, and I also make sure to overlap everything a little bit so that it mixes well when you dab dab it onto your nails. 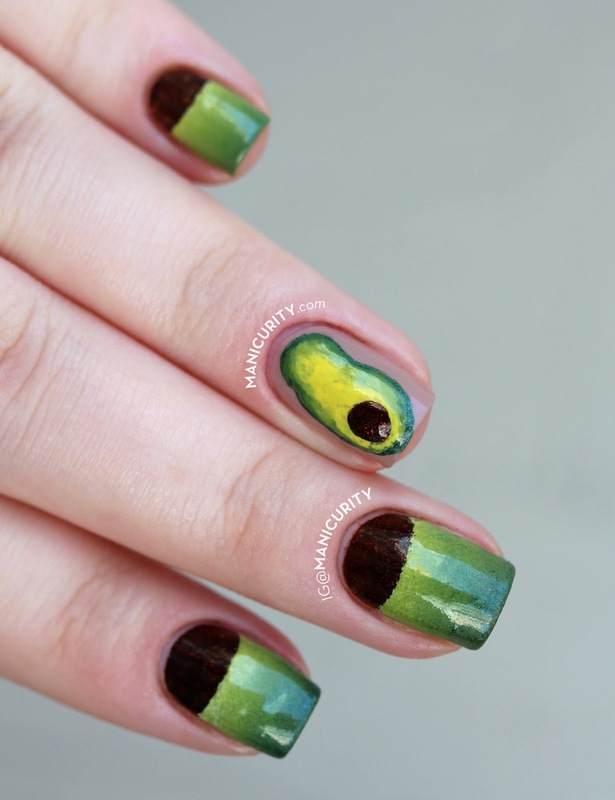 The freehanded avocado accent nail was done with all the same polishes as the other nails, a small striping brush, and some dotting tools. 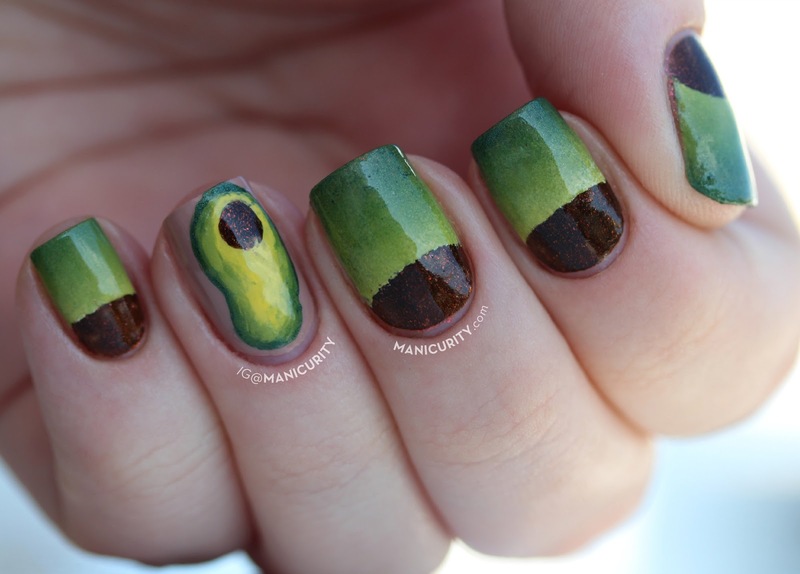 THANKFULLY avocados are sort of weird shaped so they're almost impossible to paint "wrong"! I love these. Now check out the other Digit-al Dozen nails below!! Disclosure: I bought ALL the things! If you'd like to know more about my policies, please read my disclosure page. You've just made my day. 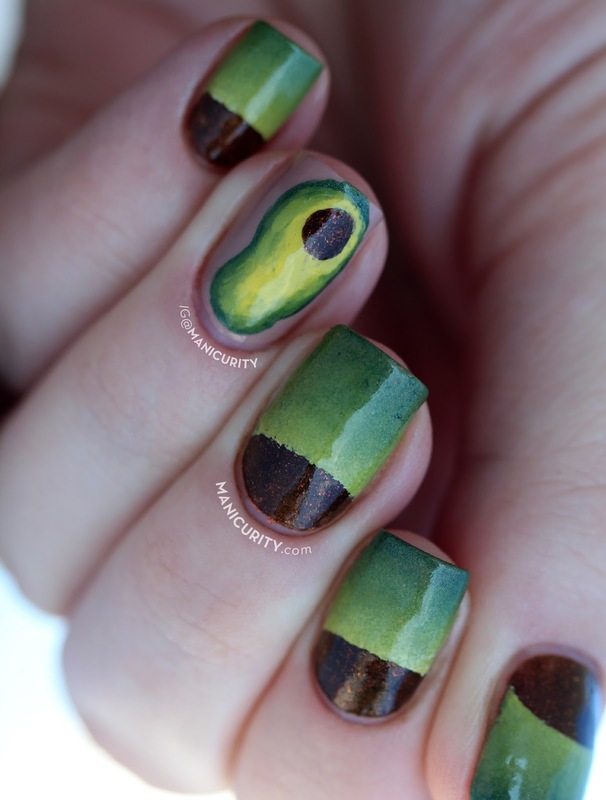 I absolutely love avocados! LOVE! So cute and the gradient is perfect, my gradients never look anywhere near this perfect when I try - I don't know how you do it! So cute! 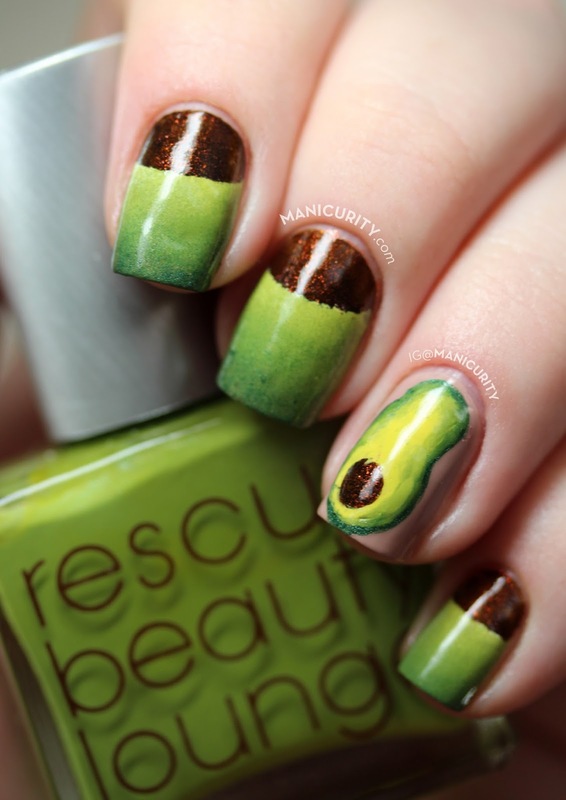 I simply love these nails, and avocados! hahahah this is amazing. and that revlon is gorgeous!! Oh, my, goodness! These are so flippin' awesome! Brilliant! Love them!